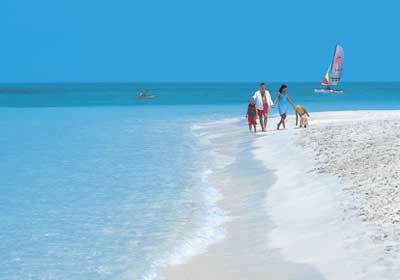 In March, the height of the beach season in Vietnam - in this country you can relax quite inexpensively. The warmest thing is in the south of the country: +32 ... + 34 ° С in the daytime, + 26 ° С water temperature, almost no rain. But if at the beginning of the month the weather makes happy guests have a pleasant warmth, then in the last decade it becomes very hot. 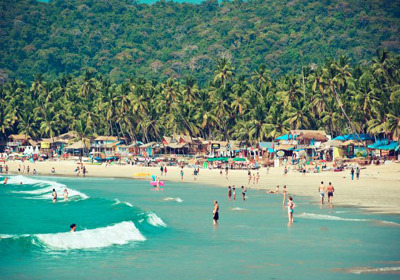 But in the center of the country it is comfortable, and it is best to rest on the sea in March (for example, in Nha Trang): +27 ... + 30 ° С during the day, occasional showers occasionally pour. The coldest in the north of the country: in the daytime + 24 ° C, the sea + 22 ° C, in the mornings it is often foggy, in the evenings it is cool from the current winds. Modest prices, long beaches with white and yellow sand, interesting excursions - these are the main components of leisure in Vietnam. The underwater world of Phu Quoc Island attracts divers, and the “correct” wave in Mui Ne is for lovers of kiting and surfing. Well-maintained golf courses can be found in Phan Thiet. Among the lovers of excursions, the unique landscapes of Halong Bay, the Marble Mountains and the Caves of Da Nang, the architectural heritage of Hoi An and the flourishing Dalat are especially popular. Where can you relax in March 2019 at sea? The non-obvious answer is the United Arab Emirates. Very often, tourists go there for new acquisitions, although a beach holiday in the UAE in March is possible: the sea is already warming up to +22 ... + 23 ° C and is quite suitable for swimming. The beginning of spring is characterized by comfortable air temperatures and unexpected surprises of nature in the form of sandstorms and thick fogs, which, fortunately, does not happen very often. 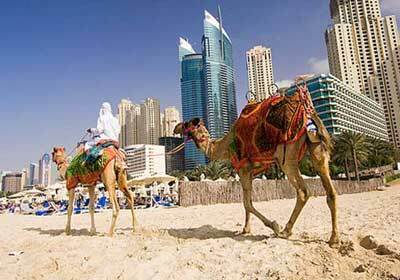 In the afternoon it is warm: in Dubai and Sharjah + 27 ° С, in Abu Dhabi + 29 ° С. At night, the air temperature drops to +18 ... + 21 ° C, so windbreakers should be taken with you. The coastal waters of Fujairah are famous among divers for the rich underwater world, and crab hunters ride to Umm al-Quwain. Abu Dhabi and Dubai are known for their architectural masterpieces, shopping centers and entertainment complexes; water parks, dolphinariums and aquariums work for children. Traditional camel rides and desert jeep safaris are also popular. In March, in the UAE, it is good to rest with children: there is still no such stuffiness as in summer, but it is quite comfortable for walking, shopping and entertainment. The only drawback is the high prices for tours. In March, the beach season begins in Jordan, but swimming is comfortable only during the day, in the evenings it is a little uncomfortable because of the winds. March is dry and spring-like warm: in the capital during the day + 20 ° С, at night +6 ... + 11 ° С, in Jerash and Petra it is colder. In Aqaba, during the day, +23 ... + 26 ° С, water in the Red Sea + 22 ° С. The water temperature in the Dead Sea is a couple of degrees higher, and there are also many spas with a wide range of services. Jordan is a very distinctive country. There is practically no nightlife in the capital, all the clubs are located in large hotels. In Aqaba, tourists can go water skiing and catamaran sailing, diving, windsurfing, hang gliding, hiking and mountaineering. Popular rides in jeeps and camels, air sports and excursions: the city of Petra, the Roman ruins of Jerash and the settlement of Pella in the Jordan Valley, the Arab castle of Ajloun and the castle of the Crusaders in Kerak. It is worth remembering that the light day in March is still short, so all trips need to be planned in advance. The first month of spring is pretty cool in mainland China. In Beijing and Shanghai in the afternoon +11 ... + 13 ° С, in Guangzhou and Hong Kong up to + 22 ° С. Comfortable weather conditions for a beach holiday in March in China on Hainan Island: in the afternoon + 25 ° С, the sea temperature is + 24 ° С. The most pleasant water off the coast of Sanya is a temperature of + 28 ° С. In the evenings it can be cool, and windbreakers for walking will be very useful. 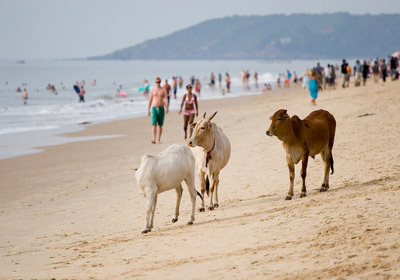 In India in March 2019, you can also relax on the cheap sea: this is the end of the high season. The sun begins to burn more strongly, in the daytime it is already above + 30 ° C, and the frequent precipitation makes the hot air also moist. It is hotter in the south: in Kerala and Goa to + 33 ° С, water +27 ... + 28 ° С, there are waves on the sea, but small, so you can swim with children. 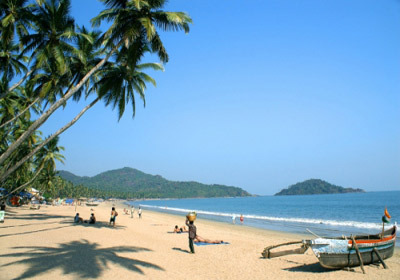 In addition to a beach holiday in India, you can visit one of the centers of Ayurveda, master the technique of meditation or do yoga, and Goa beach parties are very popular with young people. Tourists go boating, waterskiing, surfing and parasailing. Fans of excursions will be able to see the great architectural heritage of India, visiting the cities of the Golden Triangle, the most significant of which are Delhi, Agra and Jaipur. No less interesting to see the magnificent natural attractions. In early March in India, the arrival of spring is traditionally celebrated - the Holi festival, when people right on the street sprinkle colored powder on each other and pour water on it. Funny ugliness lasts all day and ends with the onset of darkness. One of the best places for a beach holiday in March is Malaysia, this month the high tourist season begins. In the afternoon in Malacca and Penang + 31 ° С, at night + 26 ° С, water in the sea + 30 ° С. The rains are rare and short. Where and how can you relax in March 2019 in Malaysia? Parks and reserves are located on the islands of the country, there are dive centers, golf clubs, tennis and horse riding. The island of Borneo is known for its wild forests, magnificent mountainous terrain and white sandy beaches. Here you can swim with turtles, go snorkeling and diving, while in Penang you can enjoy water-skiing, sailing and parasailing. The cable car on the island of Langkawi delivers tourists to the highest point, from where not only the whole island is visible, but also the shores of the nearby states of Thailand and Indonesia. Where else can you relax in March at sea, if not in Thailand? In the first month of spring, dry and hot weather is established with the air temperature on the coast +32 ... + 34 ° С during the day and + 25 ° С at night. Sea water + 28 ° С. On Phuket, Samui and in the province of Krabi, there are rare rains, which is why the sea becomes turbulent. 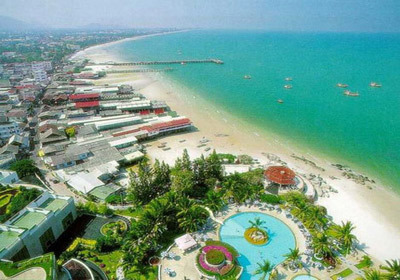 But in general, at this time in Thailand, the weather conditions are pleasant for a beach holiday and allow you to spend a lot of time by the sea. Thailand has become a popular destination due to reasonable pricing and extensive tourism opportunities. Vacationers are entertained by diving, snorkeling, visiting national parks and reserves, farms with animals, plantations and tropical gardens. In March in Thailand, a national holiday is held - the day of the elephant, which is solemnly celebrated with elegant processions and feeding animals. Day trips to temple complexes and islands are popular. Young people prefer to rest in nightlife, in the number and quality of such entertainment Pattaya stubbornly leads.